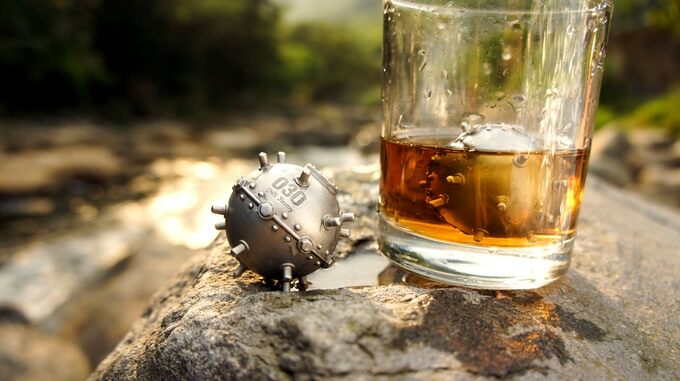 Kickstarter: Minesweeper for your Whiskey Glass? I don’t normally post recommendations for whiskey stones (or orbs, cubes, stainless steel widgets, etc.) because I don’t think chilling whiskey that you intend to sip neat is a good idea, unless you’re going for an “on the rocks” drink, in which case the melt water is actually a positive part of the experience. That said, these things are super cool and appear very well-made, so here’s a link. I’m sure some of my readers know a whiskey-loving friend who would chuckle at the idea, so maybe a gift idea? Don’t rely on it for Christmas, though, Kickstarters don’t always get funded and even if they do they generally take longer than forecasted to complete and mail out orders.